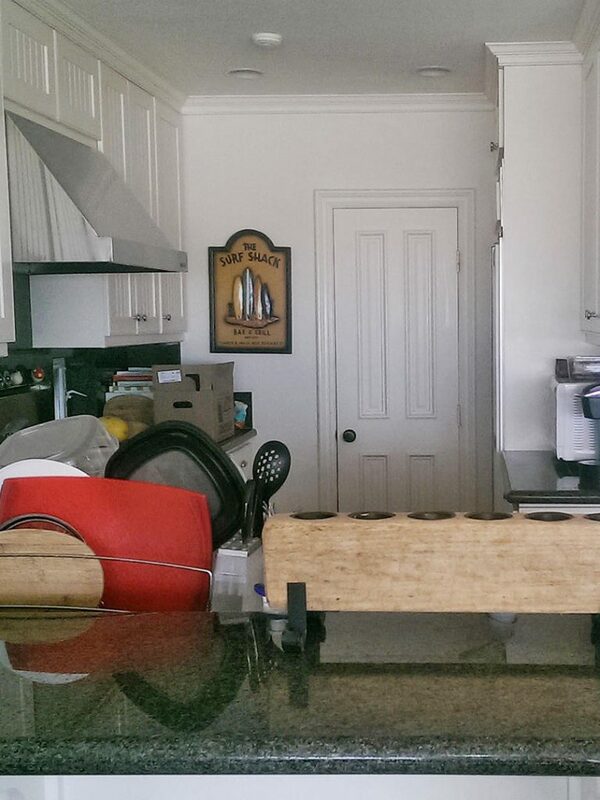 This kitchen had a dead-end design that confined whoever was cooking in it into a dark, dreary space—and kept others out as well. The design was not conducive to more than one cook in the kitchen and needed a more open upgrade. Taking down a wall created an instant connection to the dining and living room; removing the peninsula also stopped the separation of the cook from guests. Opting for seating at an island delineates the kitchen without shutting it off from adjoining rooms. 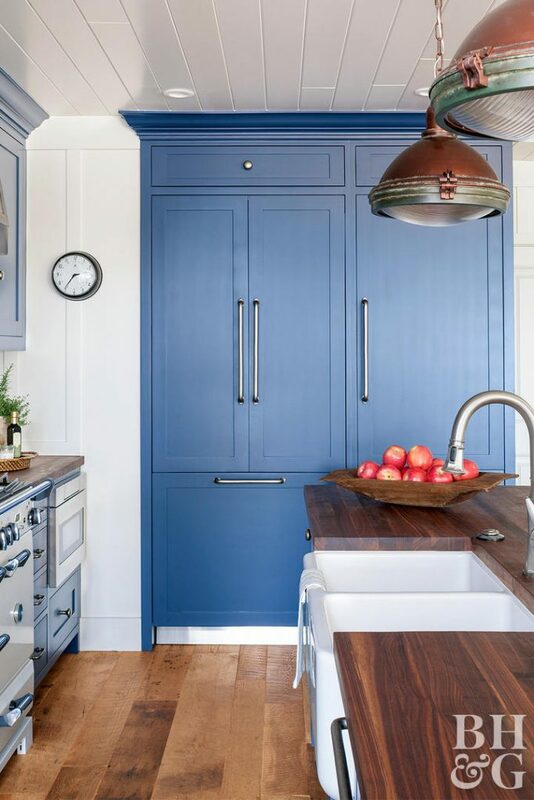 The deep blue color of the cabinetry makes it feel a lot warmer, and there is a ton of custom storage hiding within them. 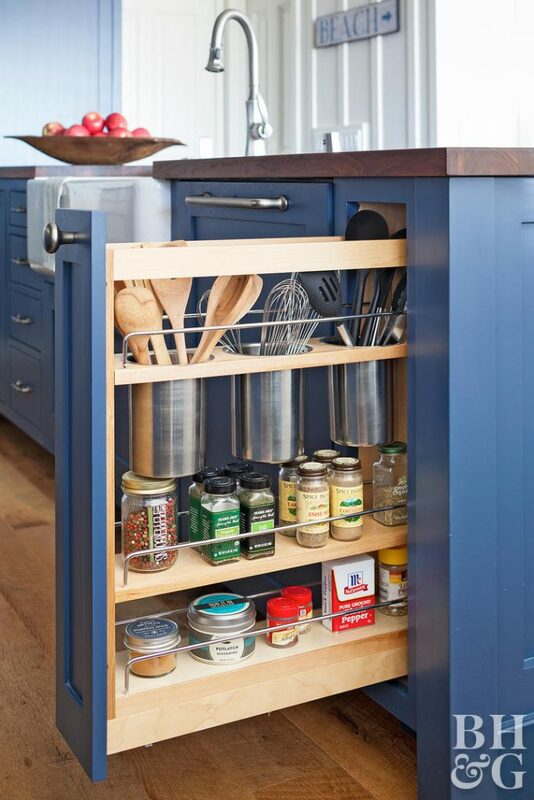 This skinny cabinet puts utensils and spices into easy reach of the food-prep area—no more pawing around a jumbled drawer for the right spoon or seasoning. 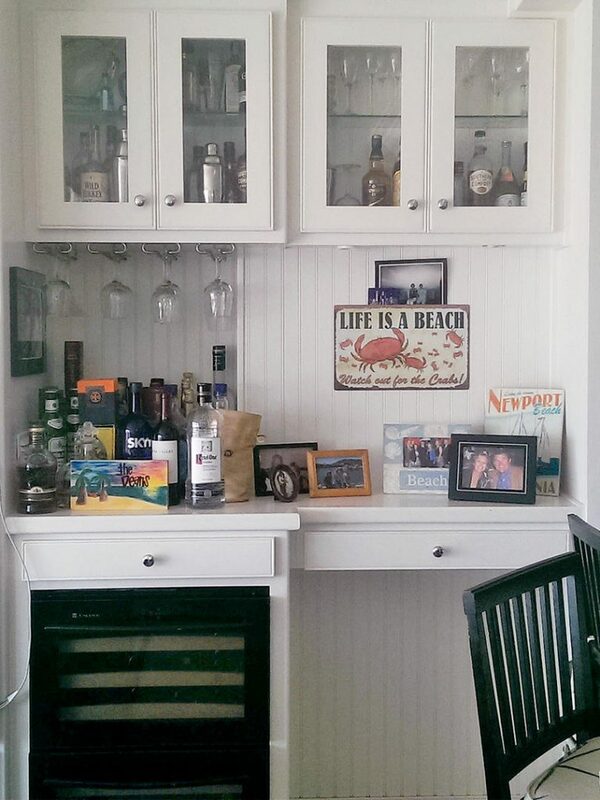 It’s also a great, custom use of a narrow space. A paneled refrigerator paired with adjacent storage combine to form a stately armoire look. 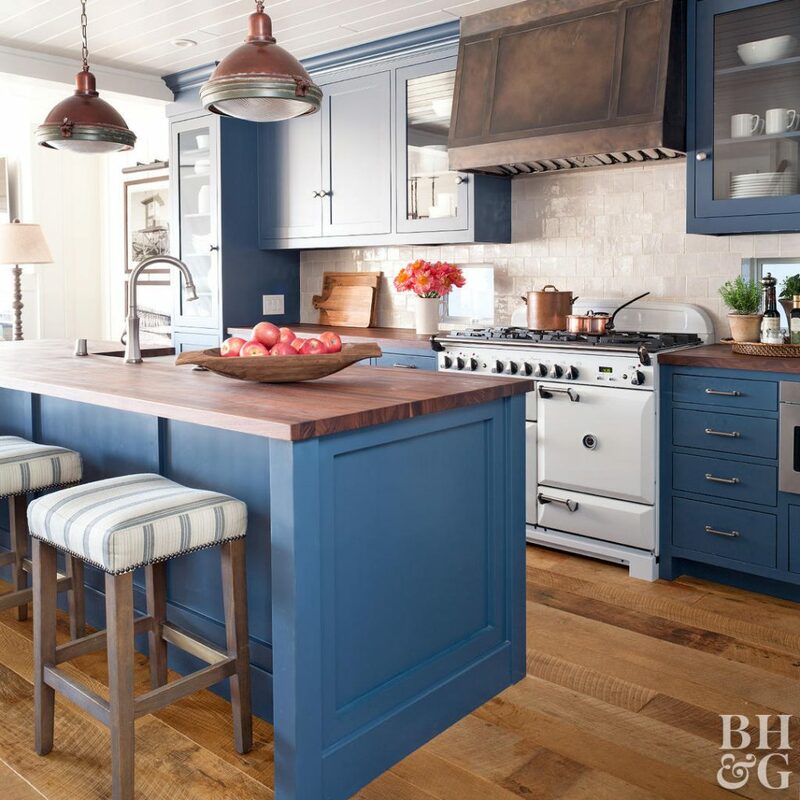 Butcher-block countertops are a departure from popular stone surfaces. 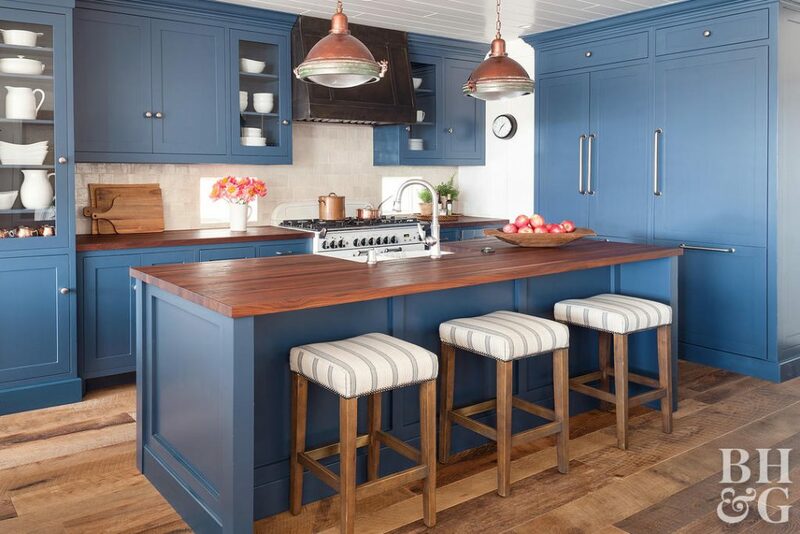 The wood’s natural good looks and warm tone fit right into the home’s nautical feel. To maintain the countertop’s finish, the owners periodically rub it with food-safe Grothouse original oil. 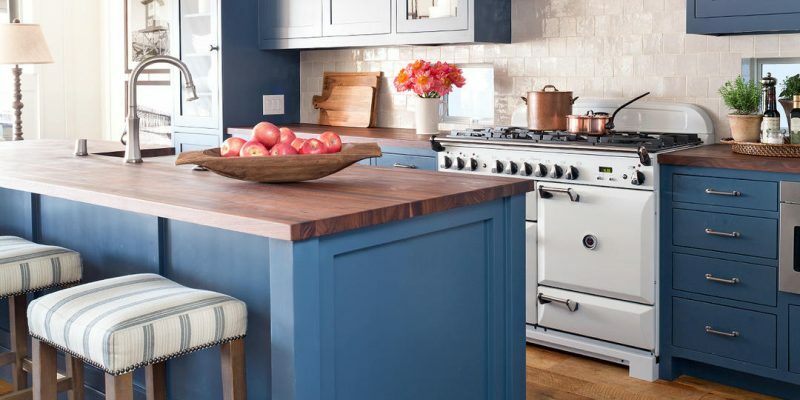 Styled to look like an old-fashioned stove, this new cast-iron range boasts modern conveniences such as dual fuel (gas burners and an electric oven), a convection oven, and a storage drawer. It’s crowned by a custom zinc hood that will develop a patina naturally over time. By using reclaimed wood flooring in the kitchen it already has scuffs, so dogs, kids, and sandy-footed guests are no big deal. 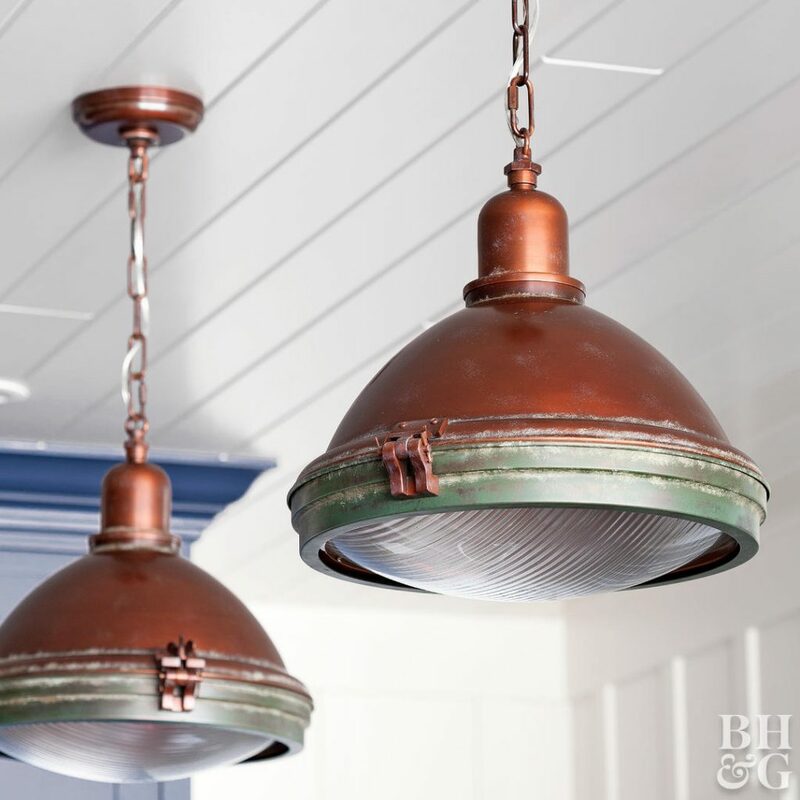 Tongue-and-groove paneling on the ceiling and warm-toned metals that weather well, such as the nautical-inspired copper pendant lights, balance all of the blue and give a nod to the house’s proximity to the sea.